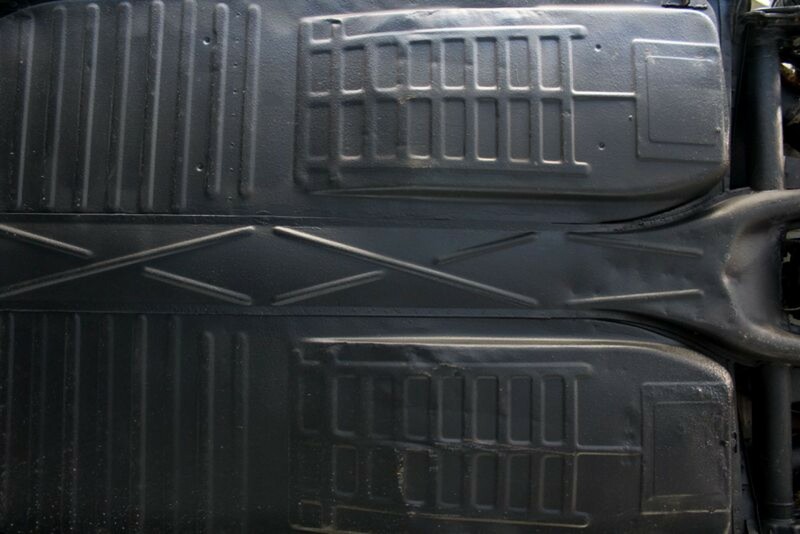 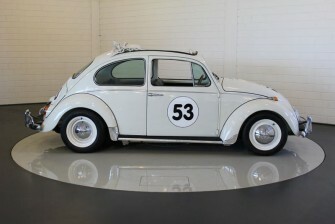 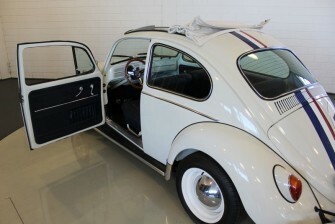 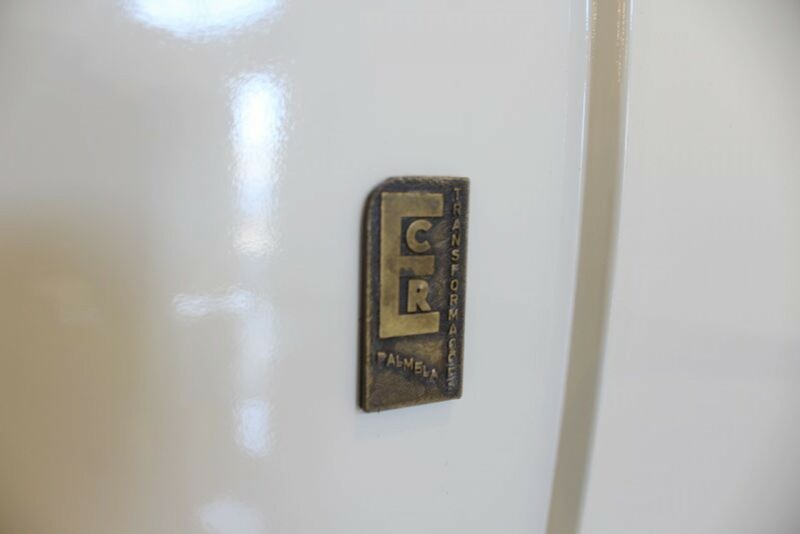 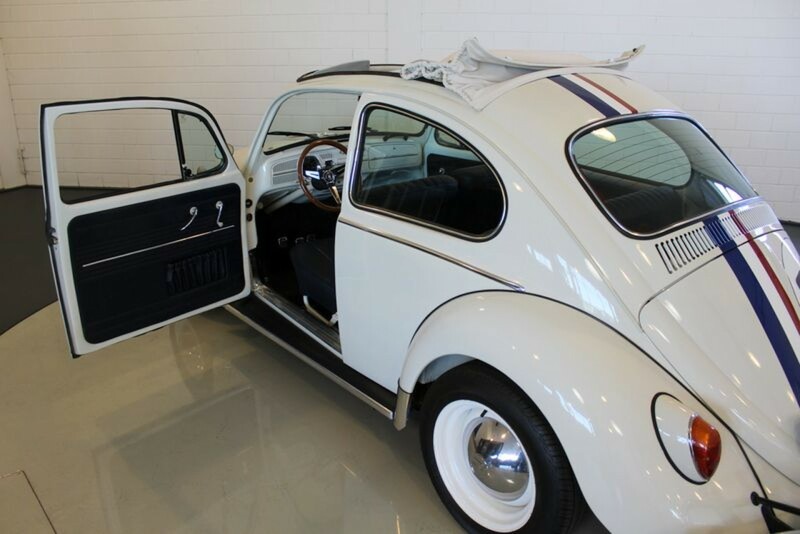 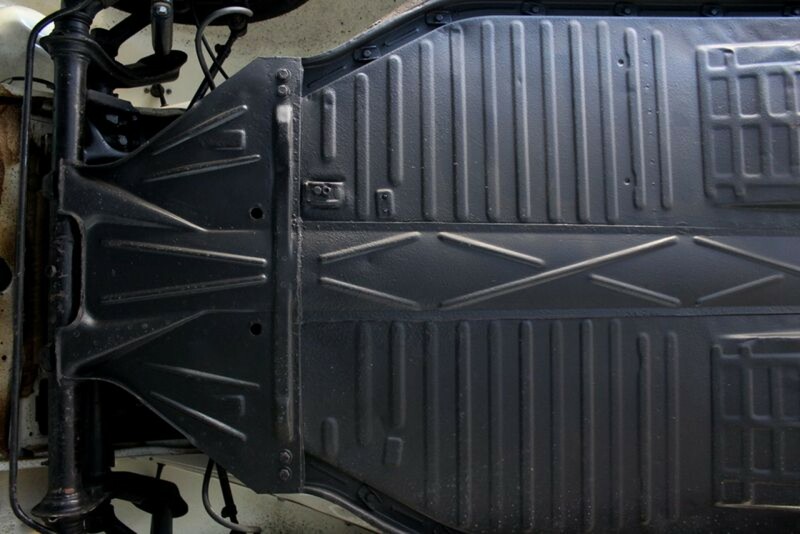 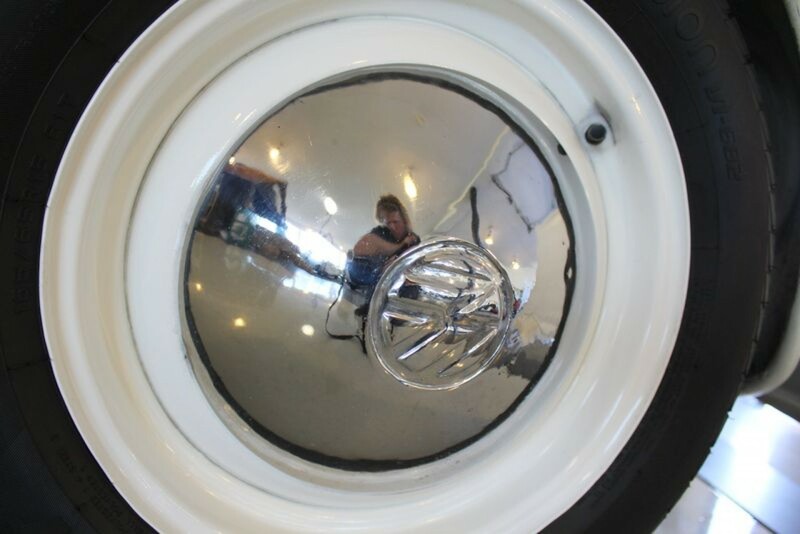 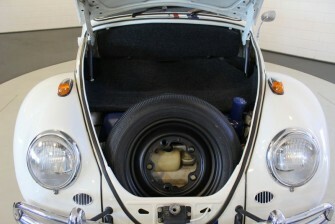 This Volkswagen Beetle was delivered in 1966. 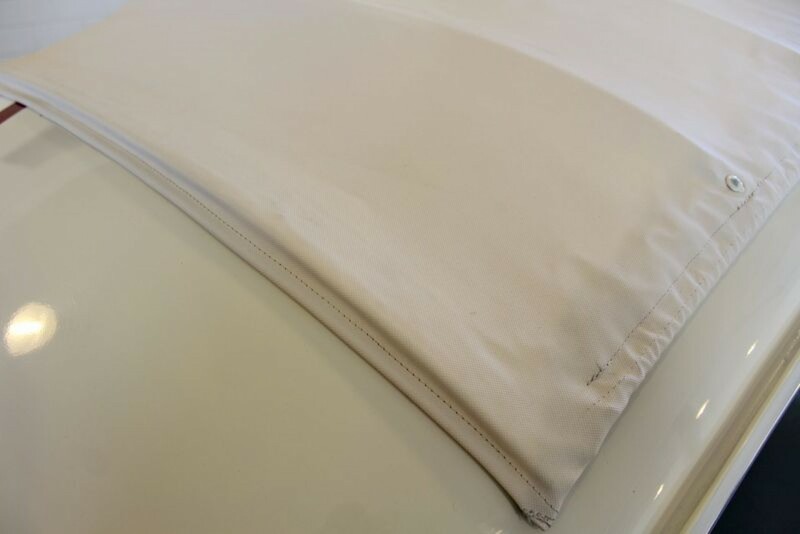 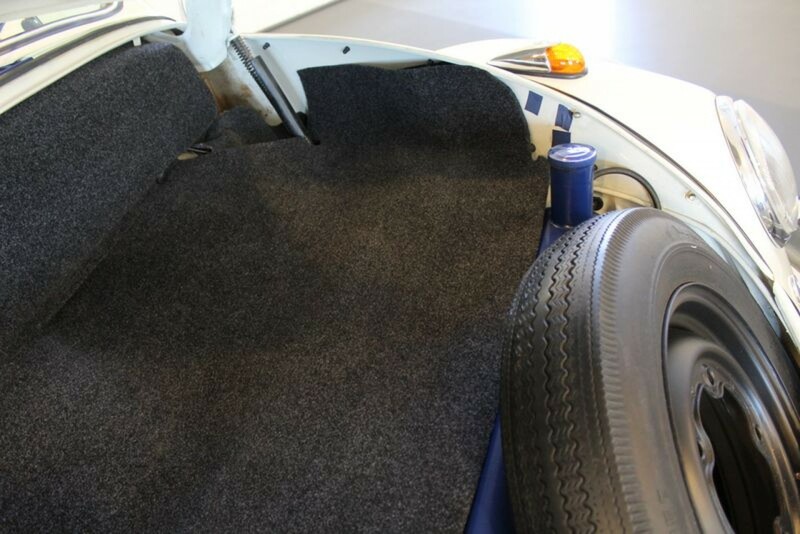 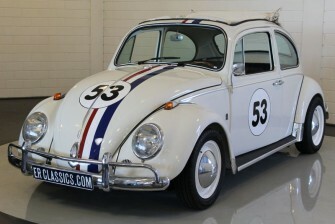 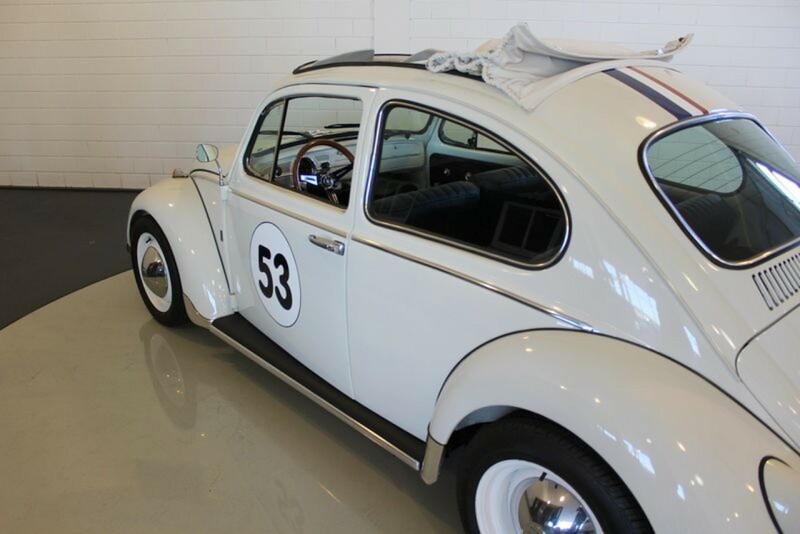 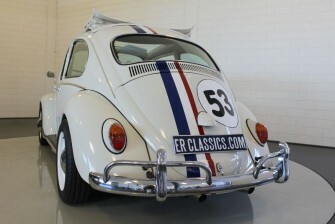 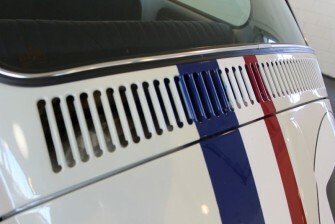 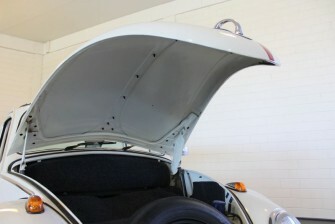 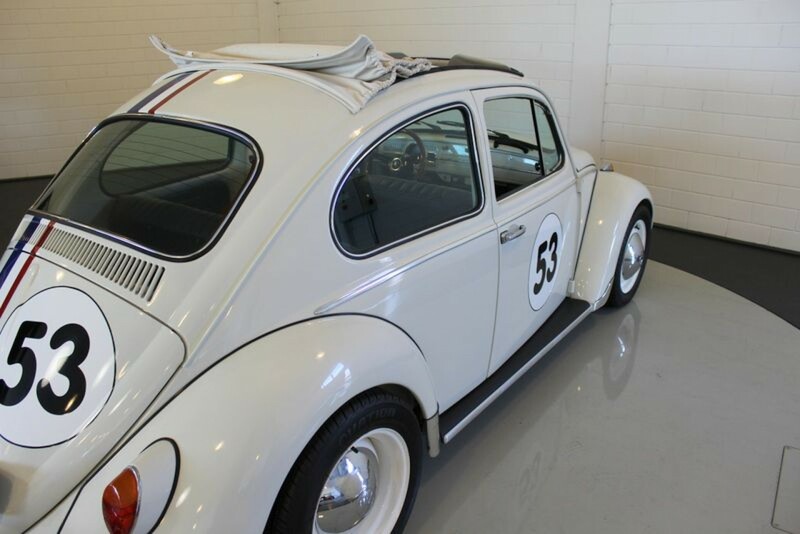 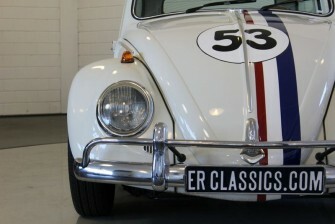 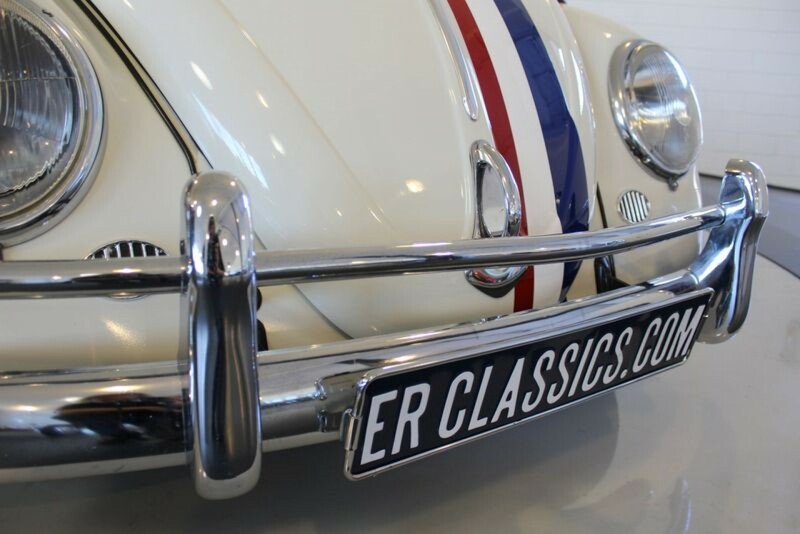 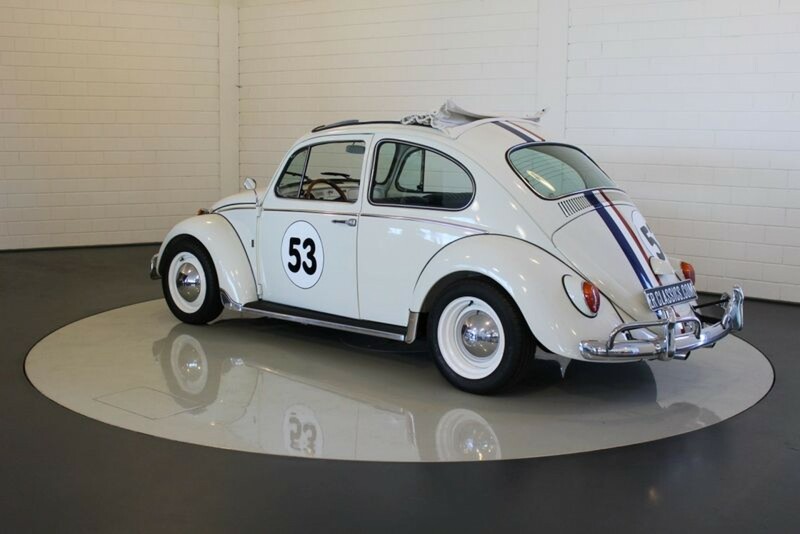 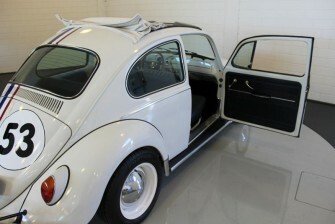 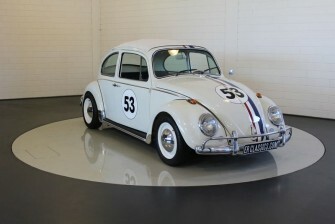 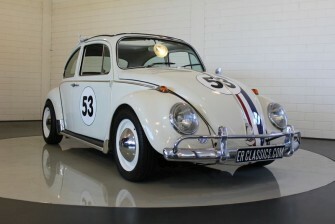 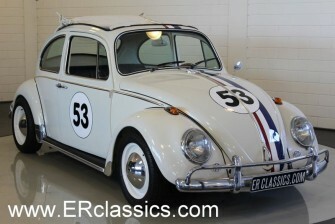 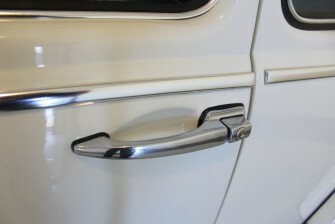 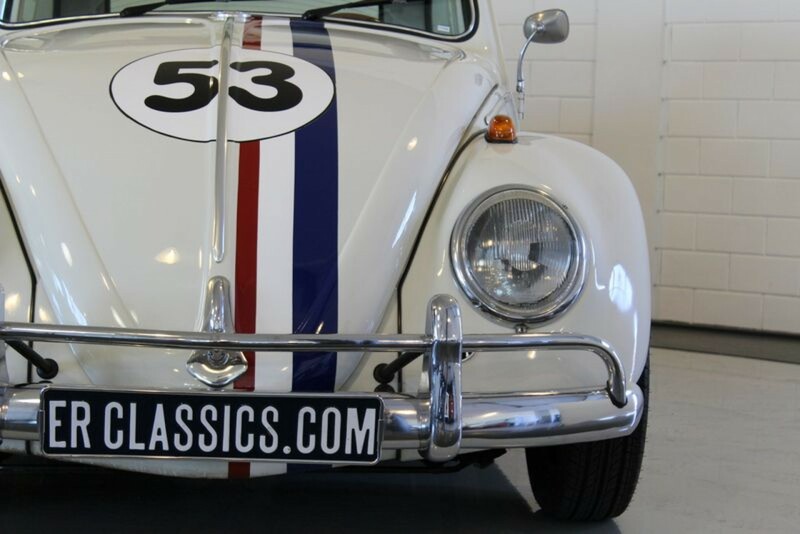 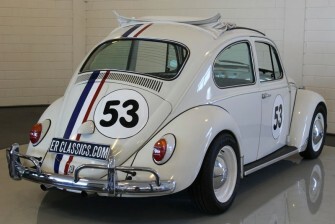 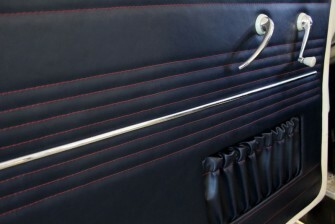 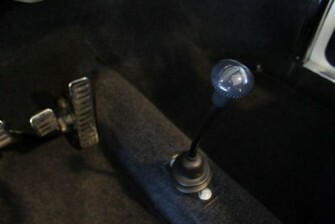 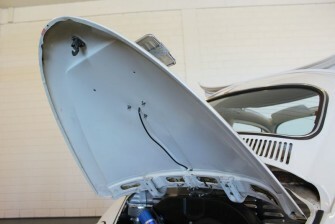 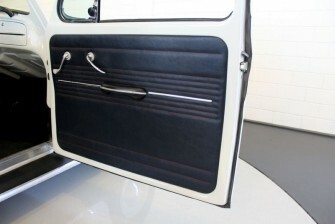 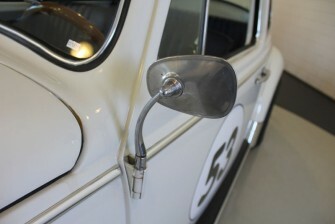 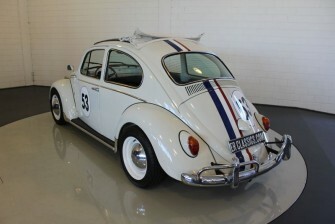 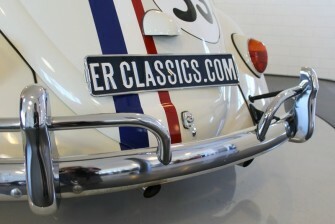 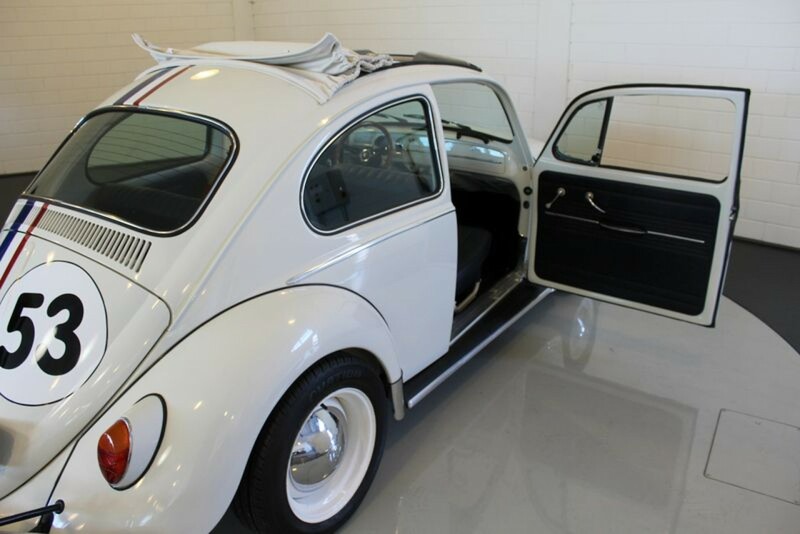 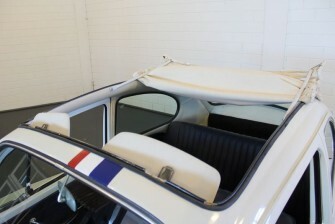 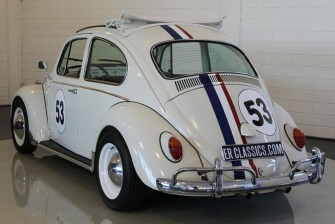 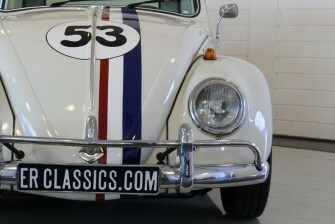 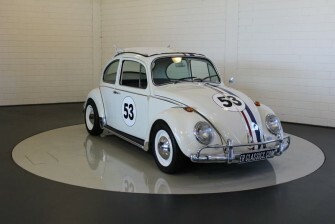 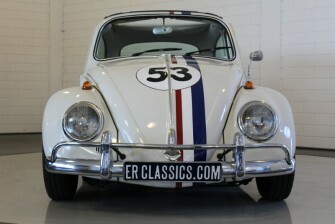 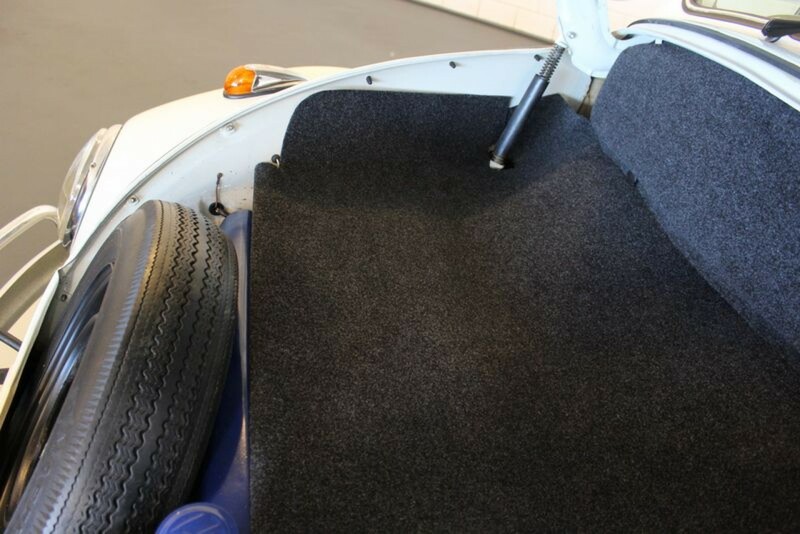 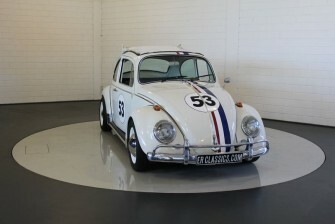 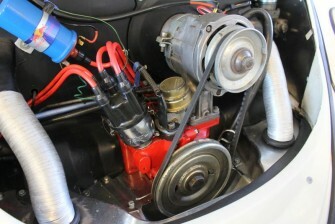 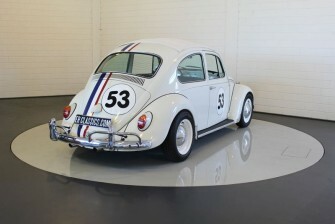 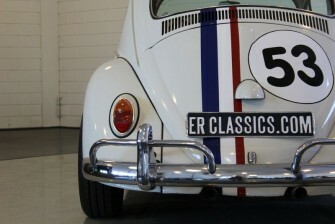 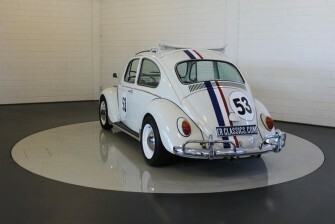 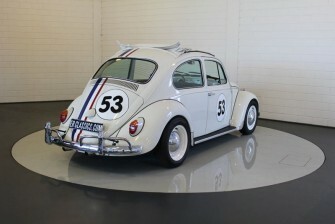 The car is fully restored and carried out as a Herbie replica with a big sunroof, a so called Ragtop. 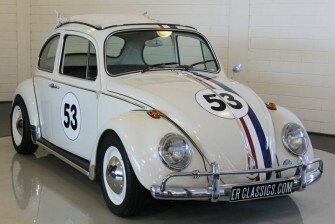 The ‘Love Bug’ looks really great. 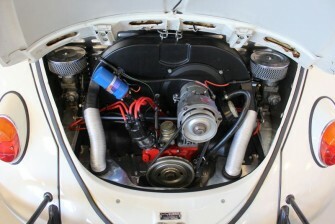 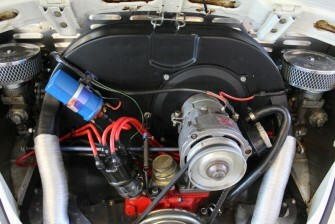 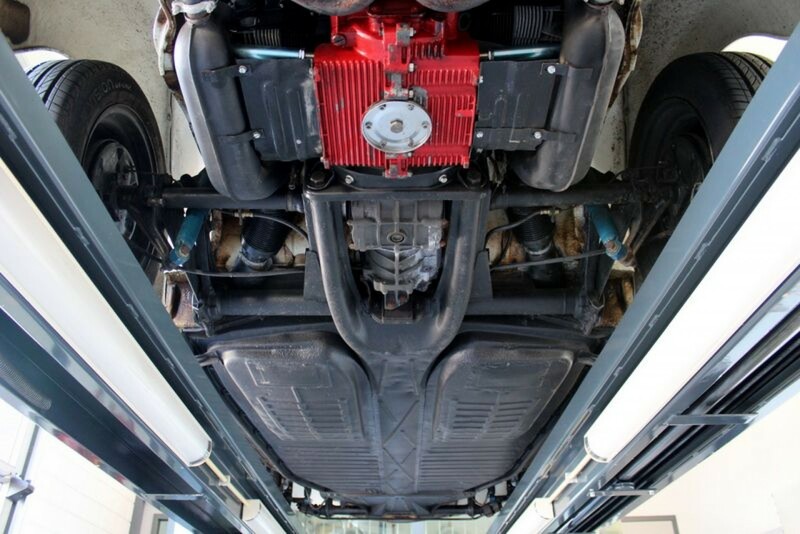 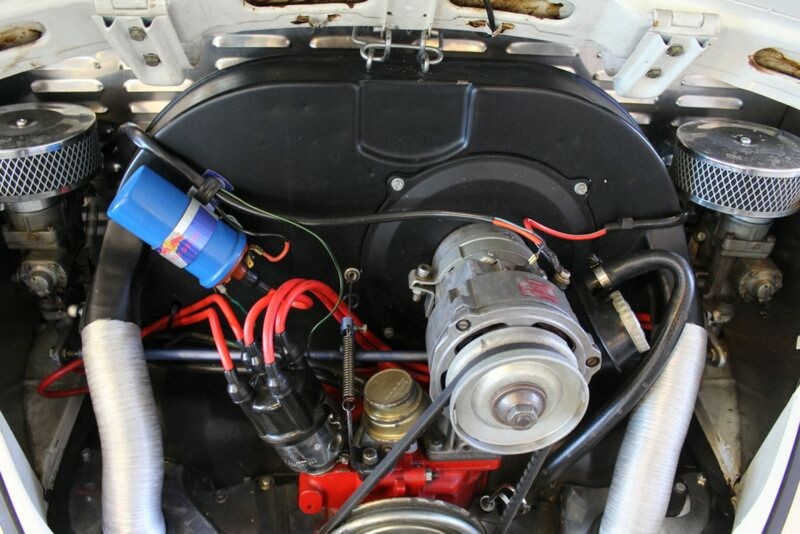 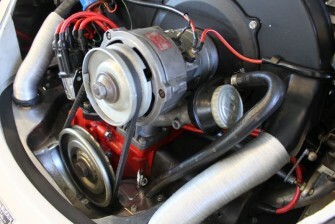 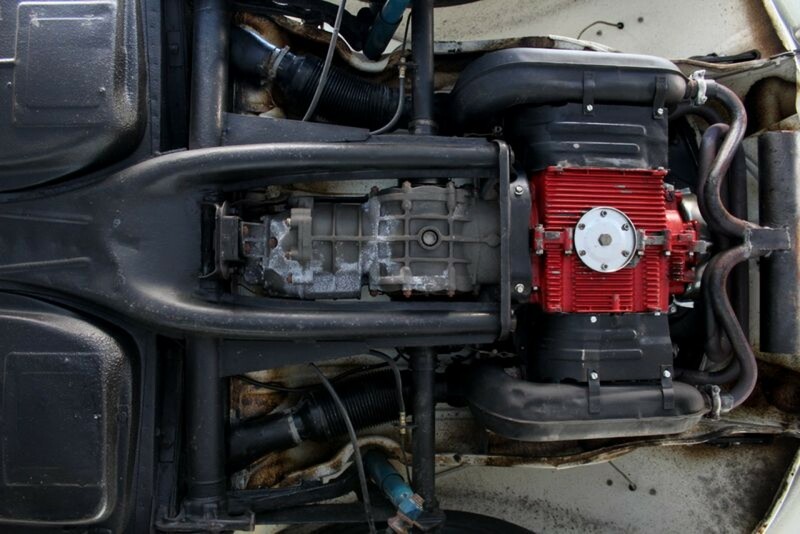 This Beetle has the original 1500 CC engine and drives really great. 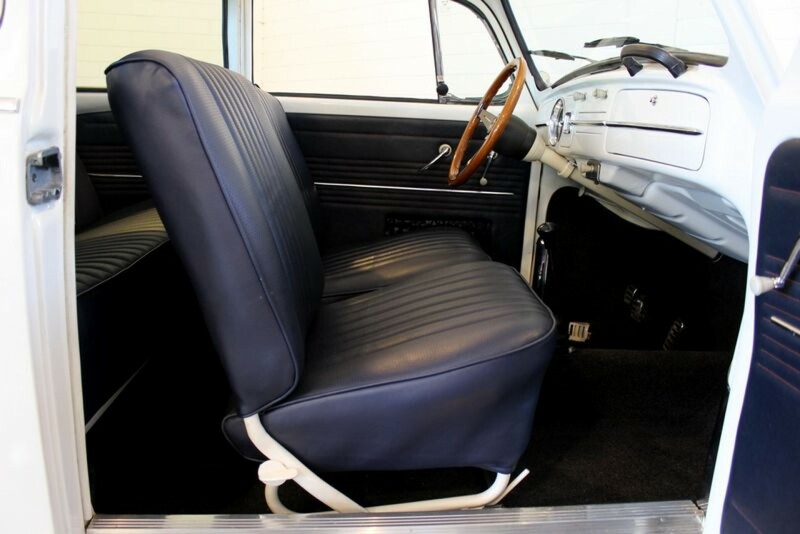 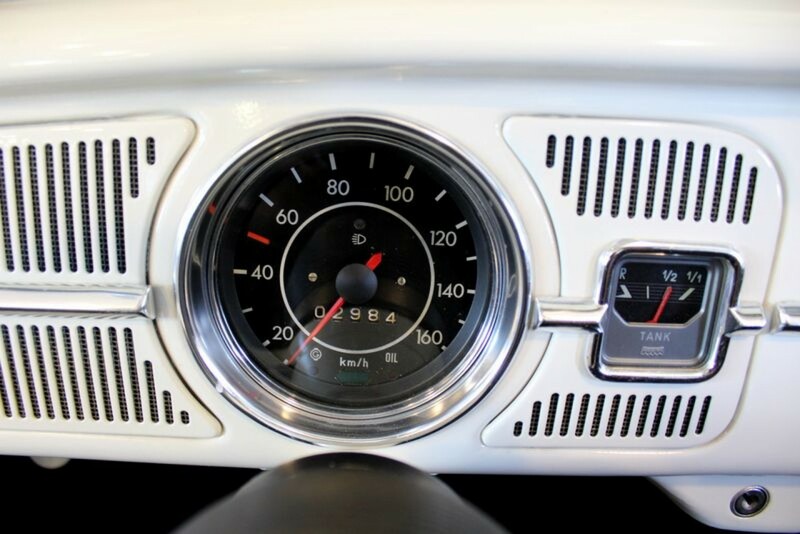 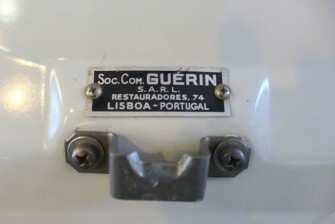 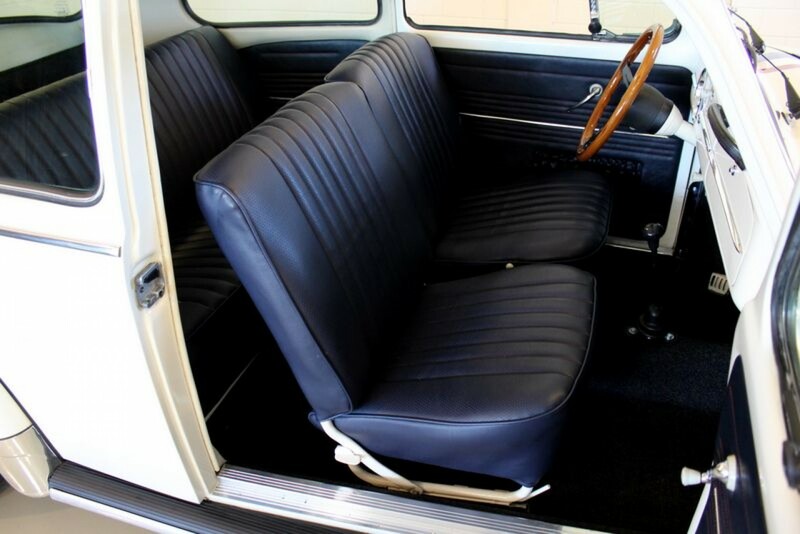 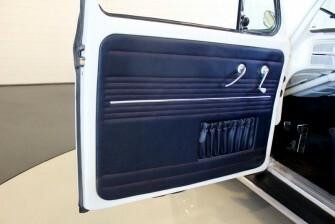 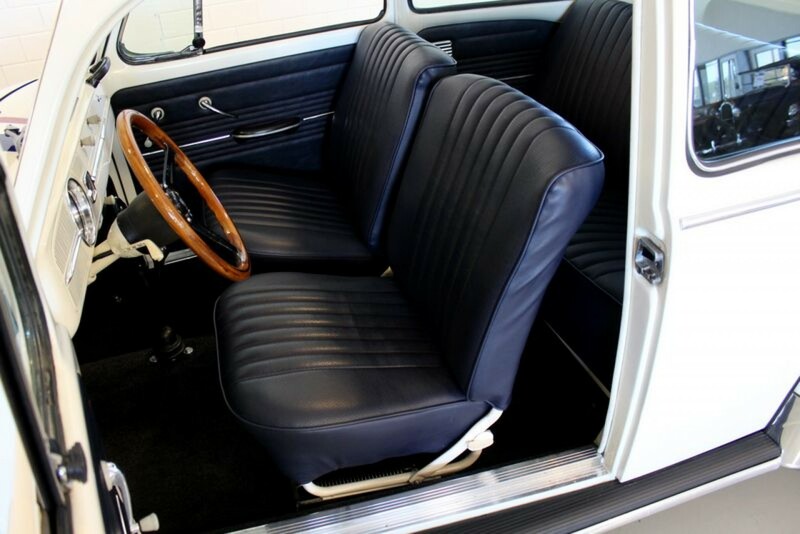 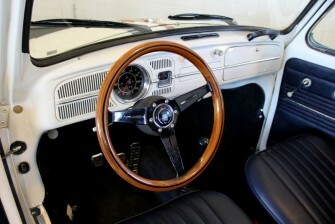 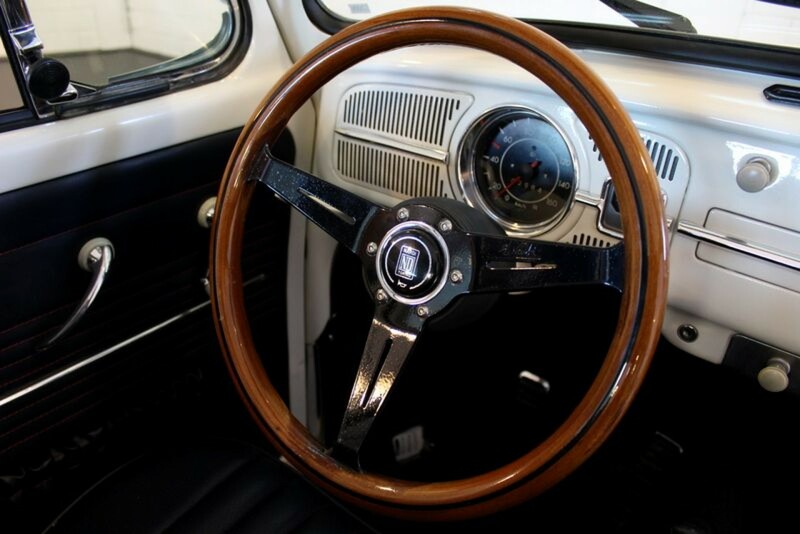 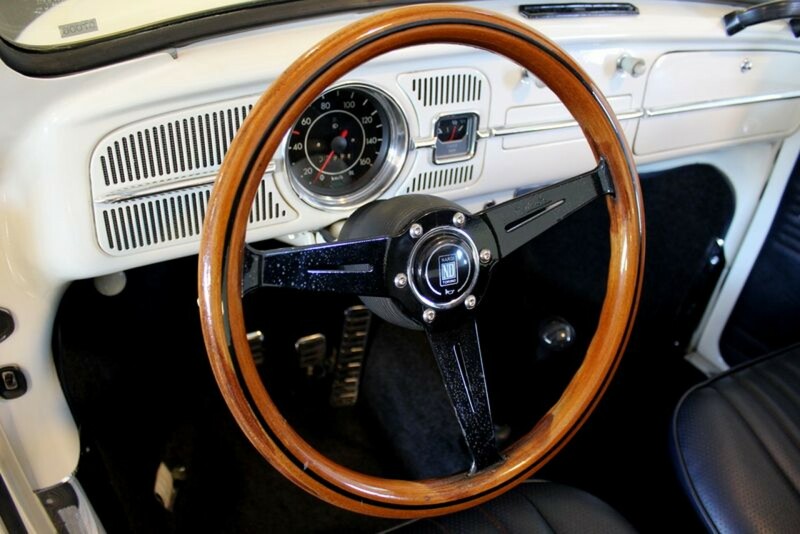 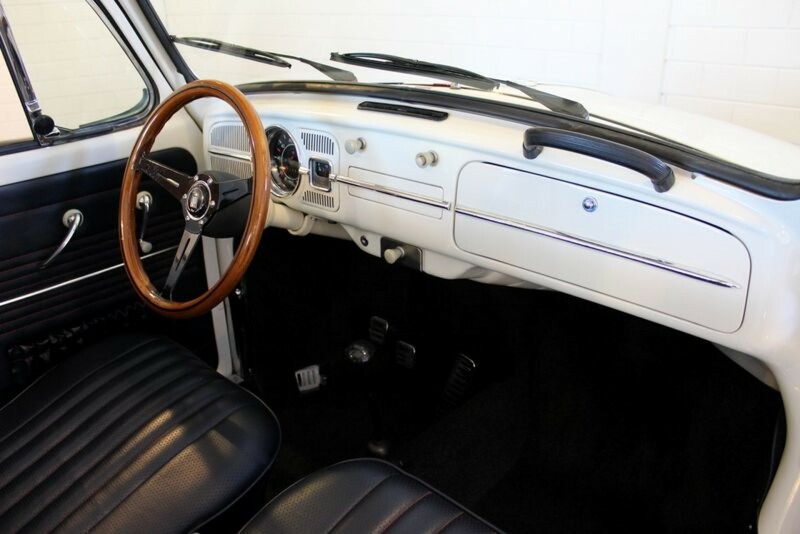 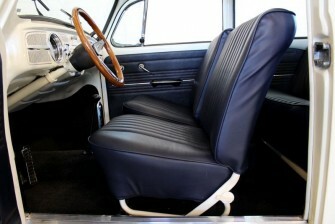 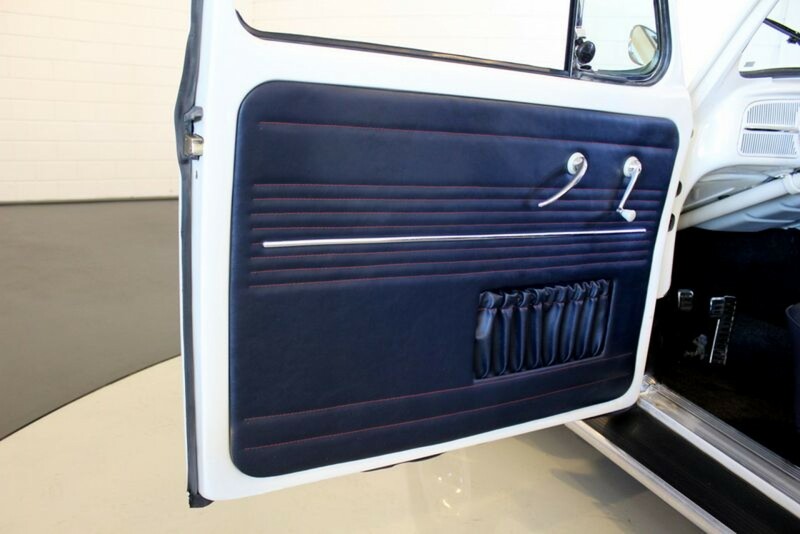 The beautiful interior has blue leatherette and the original dashboard in paint colour with wooden steering wheel. 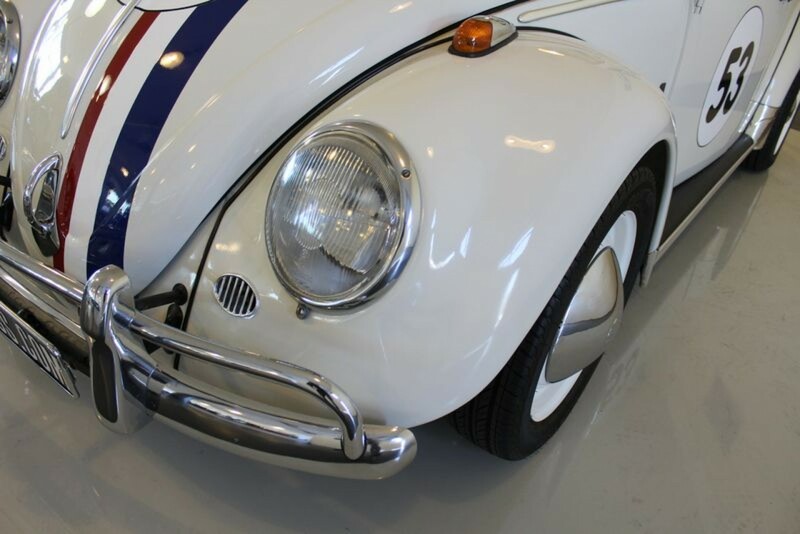 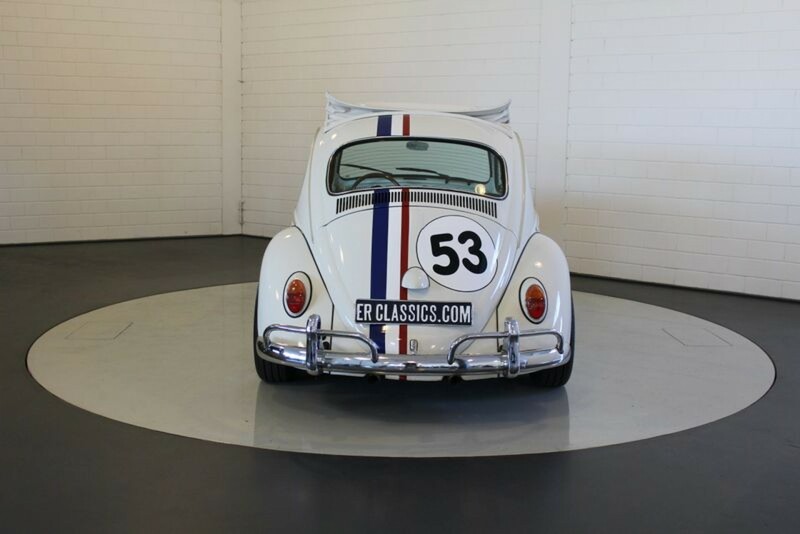 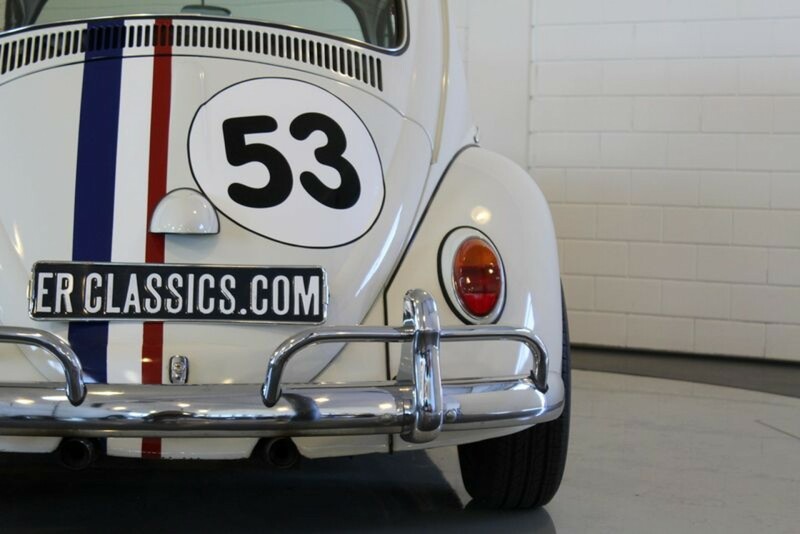 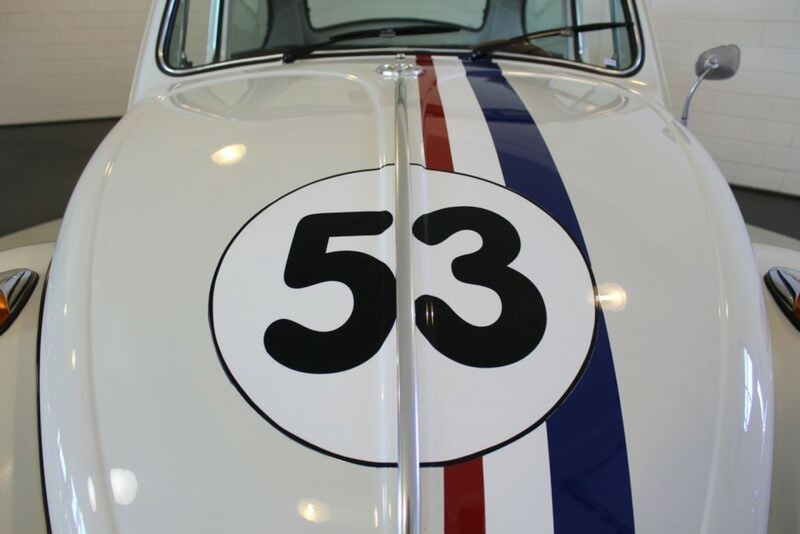 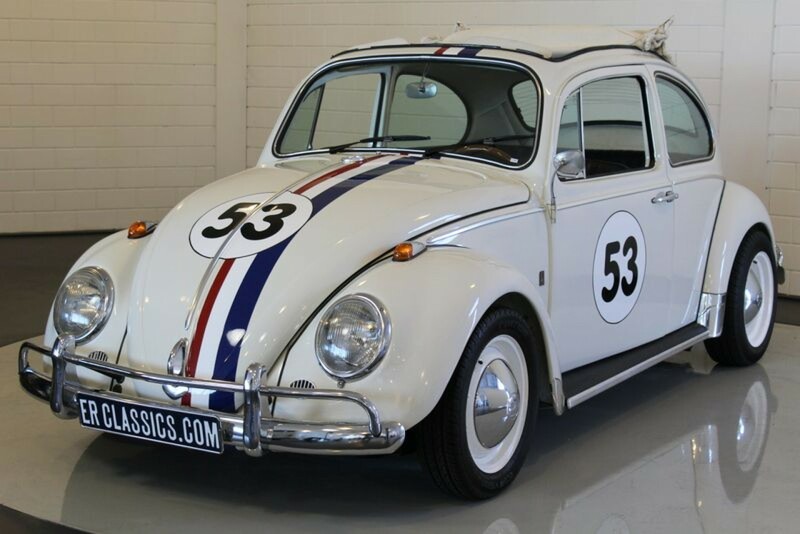 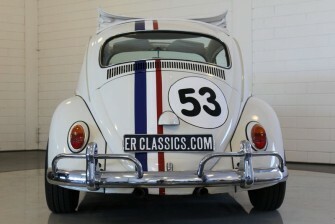 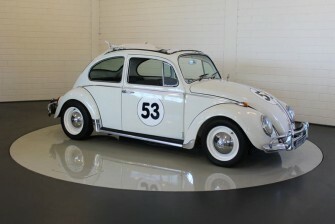 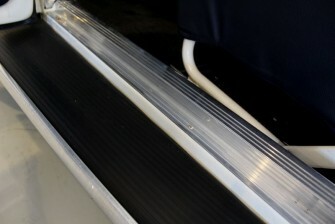 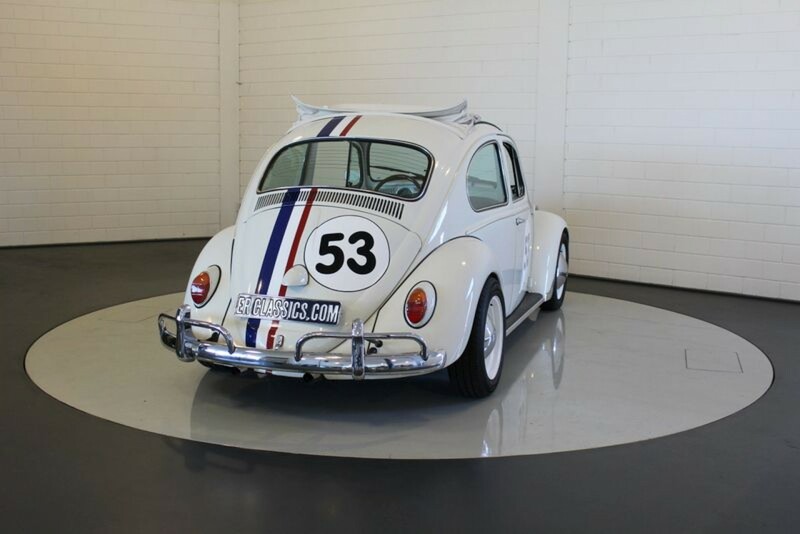 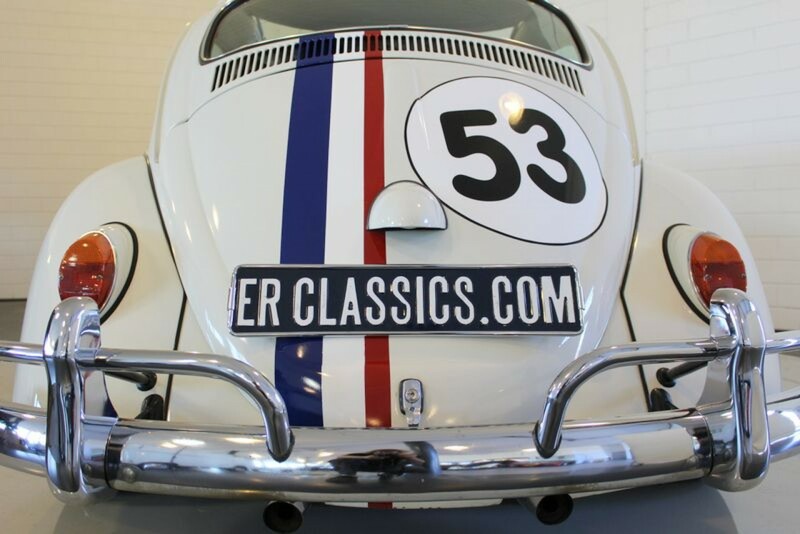 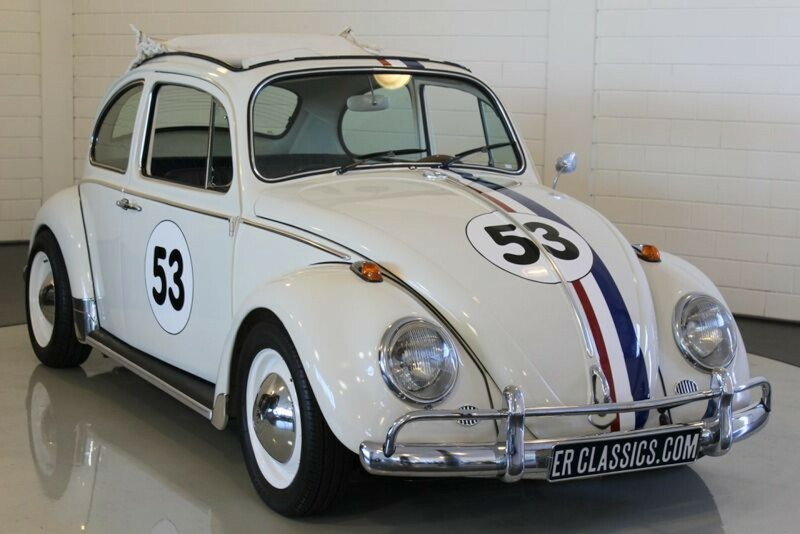 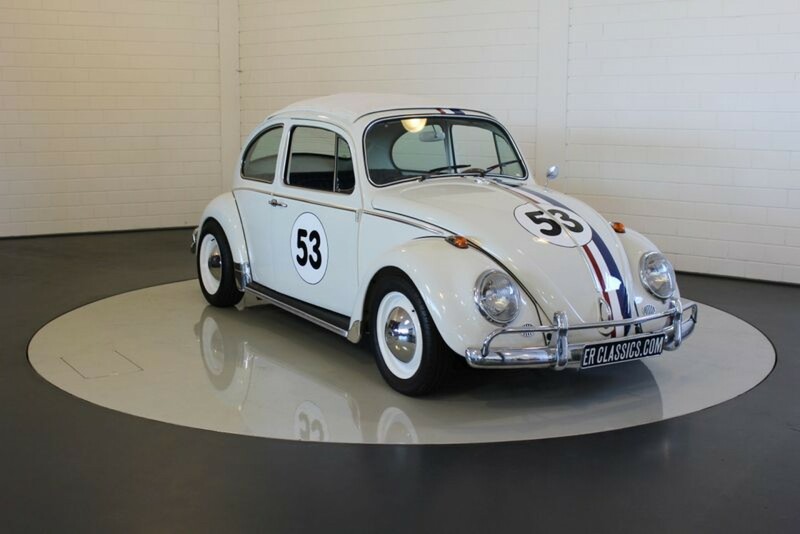 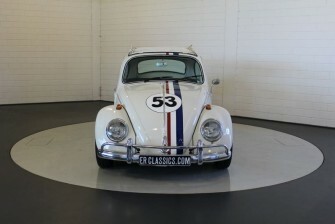 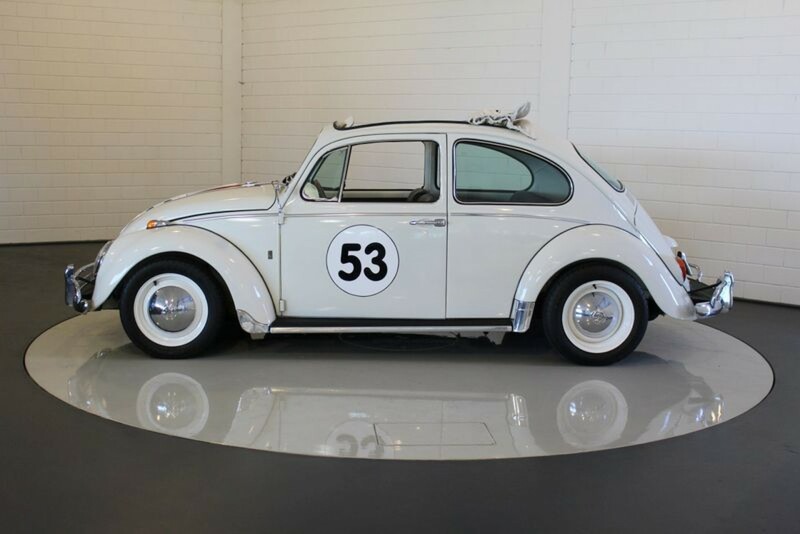 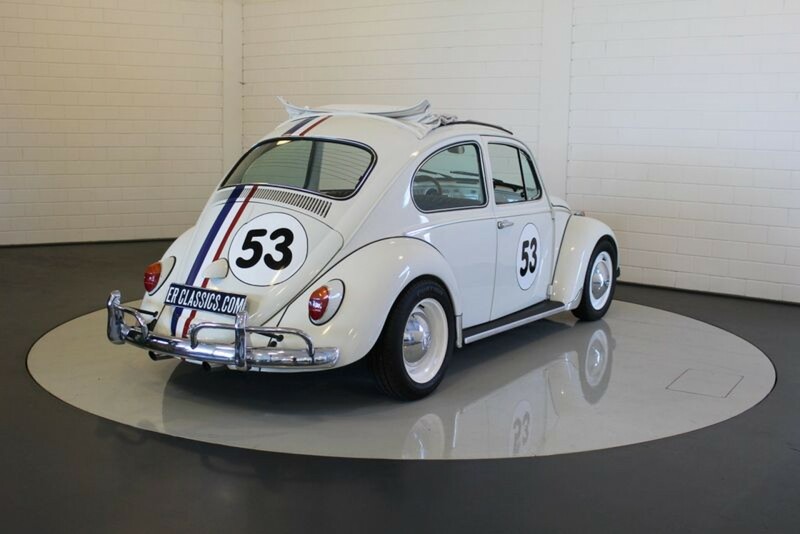 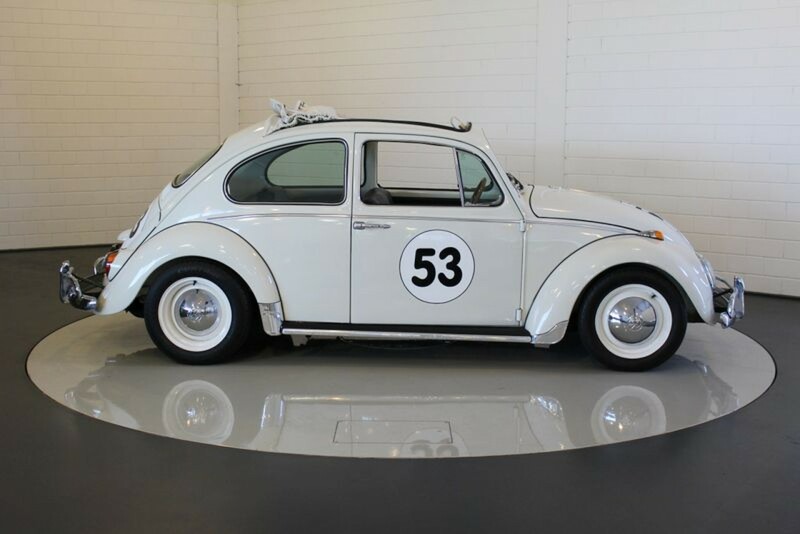 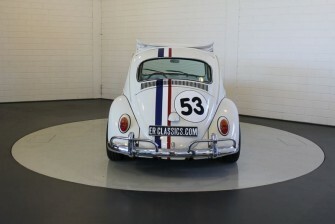 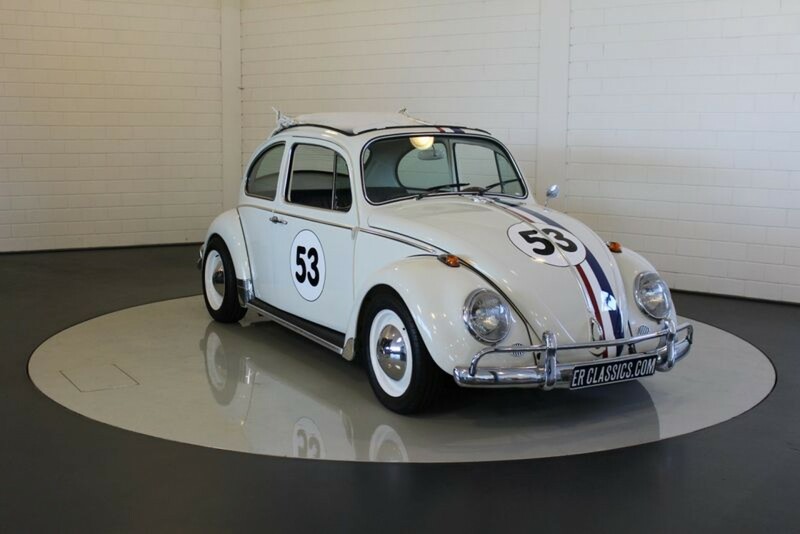 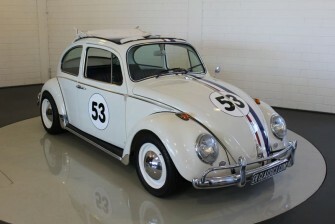 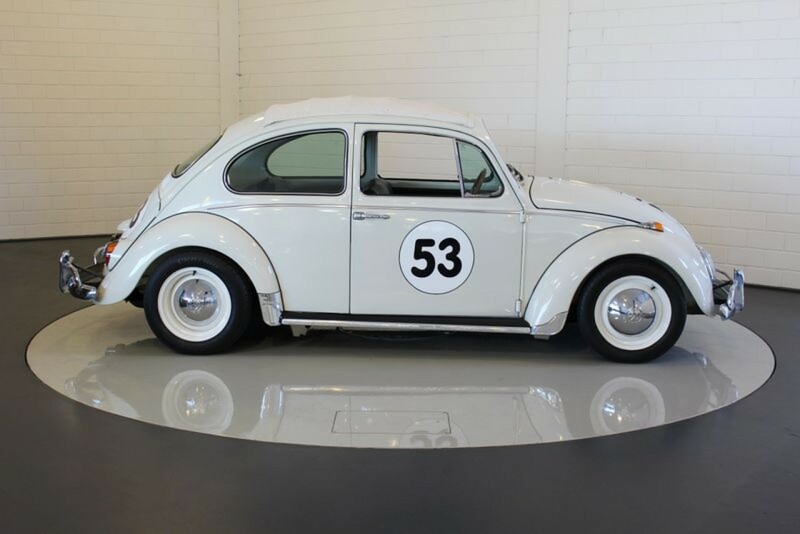 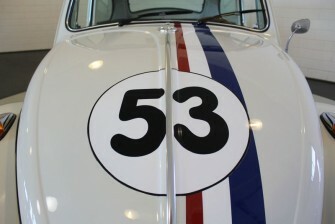 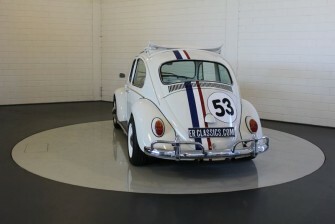 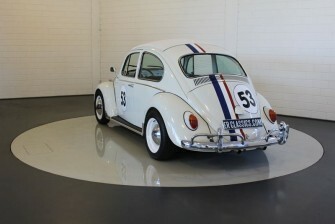 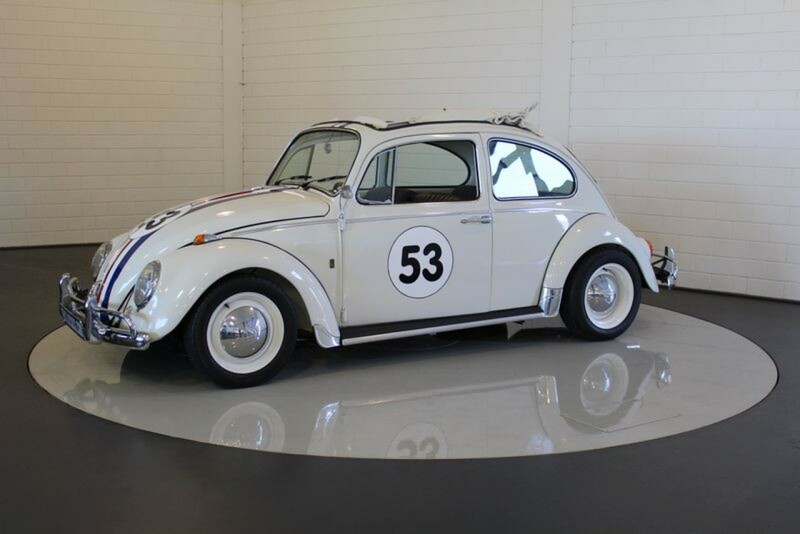 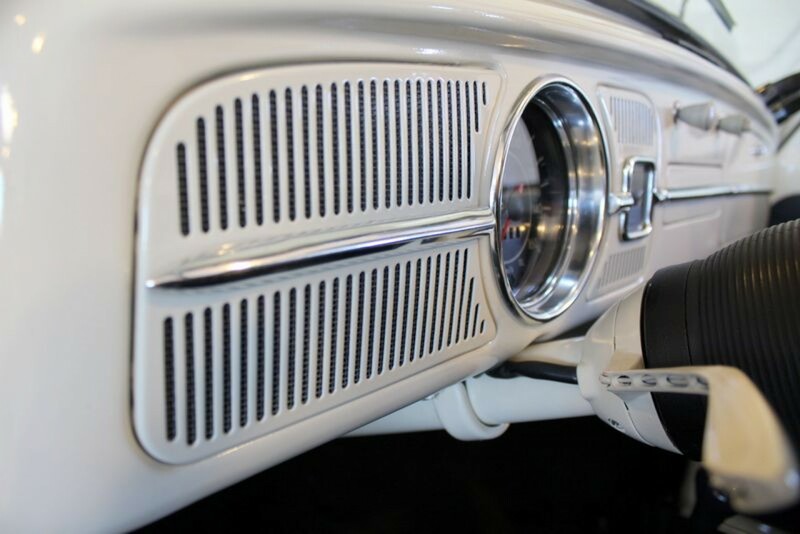 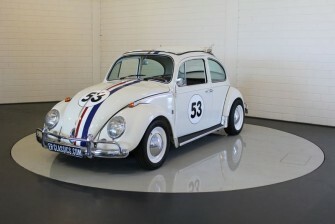 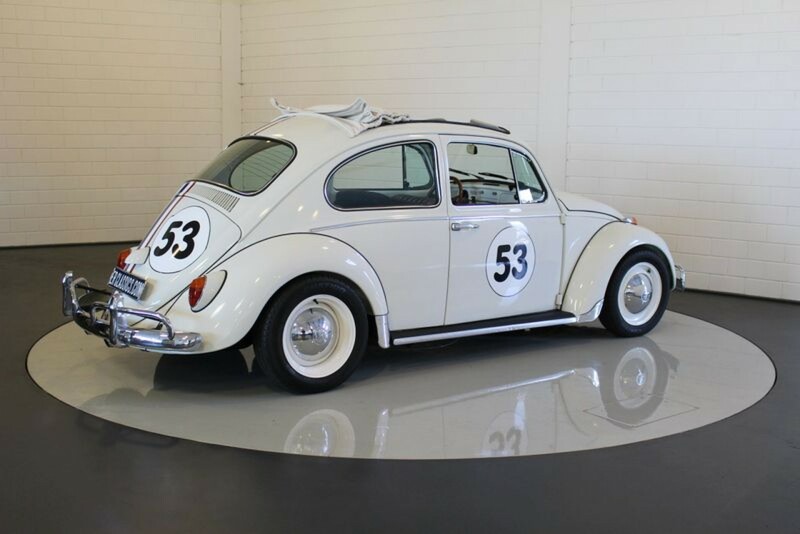 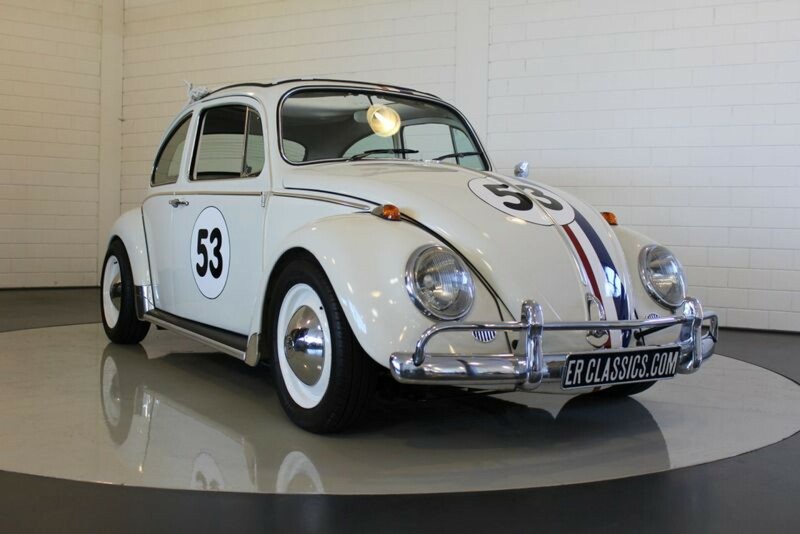 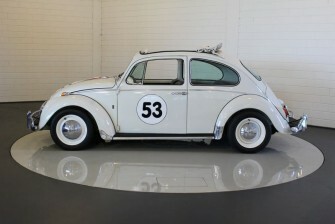 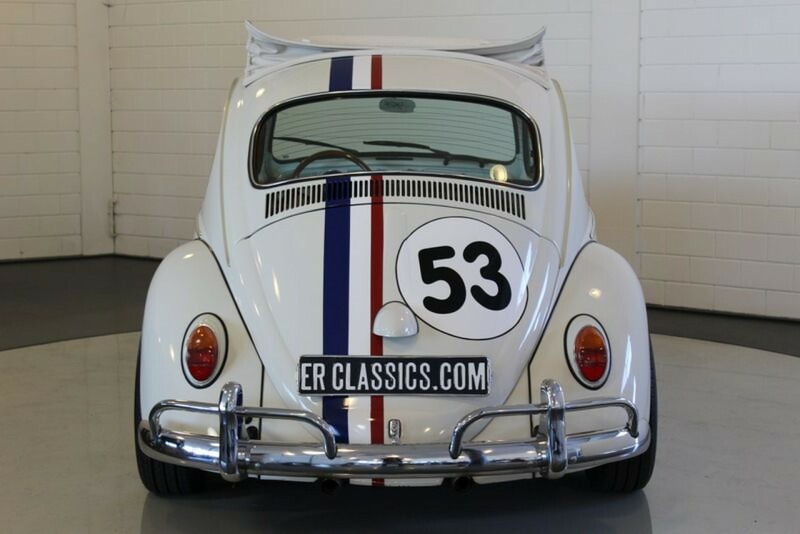 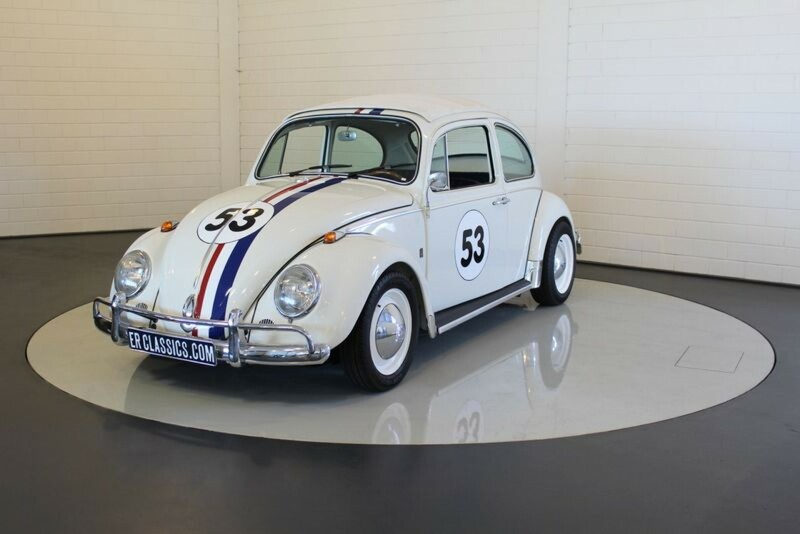 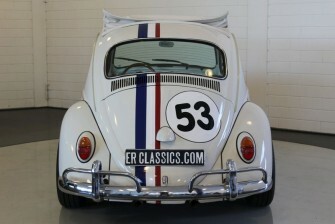 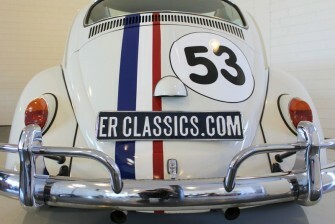 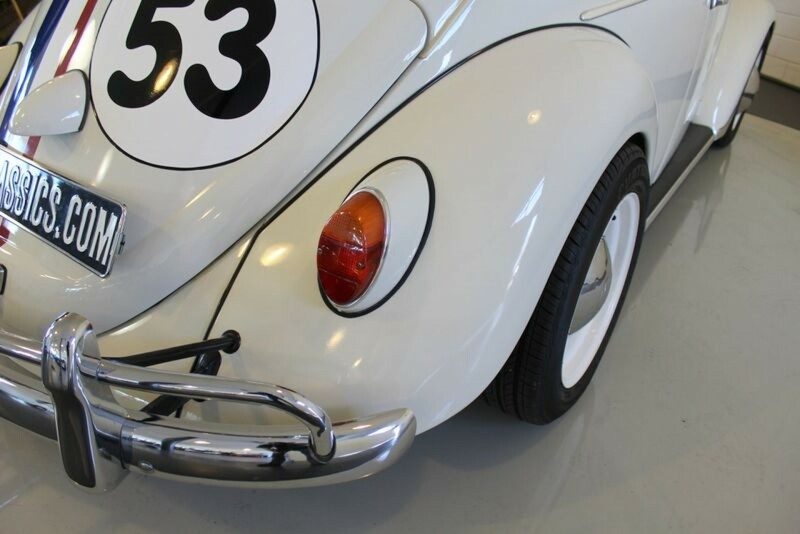 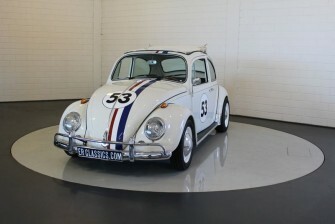 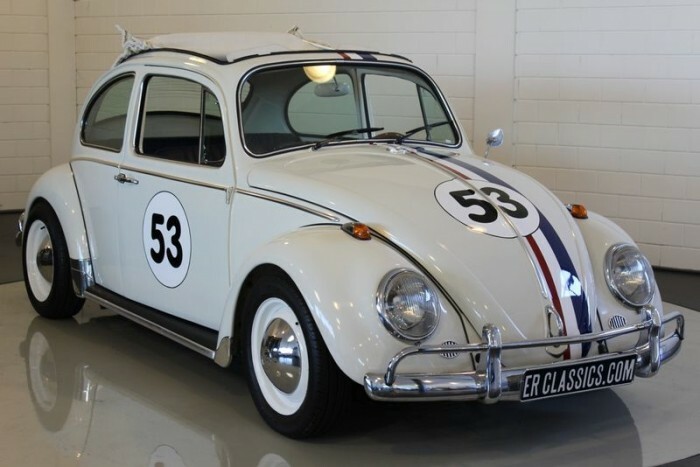 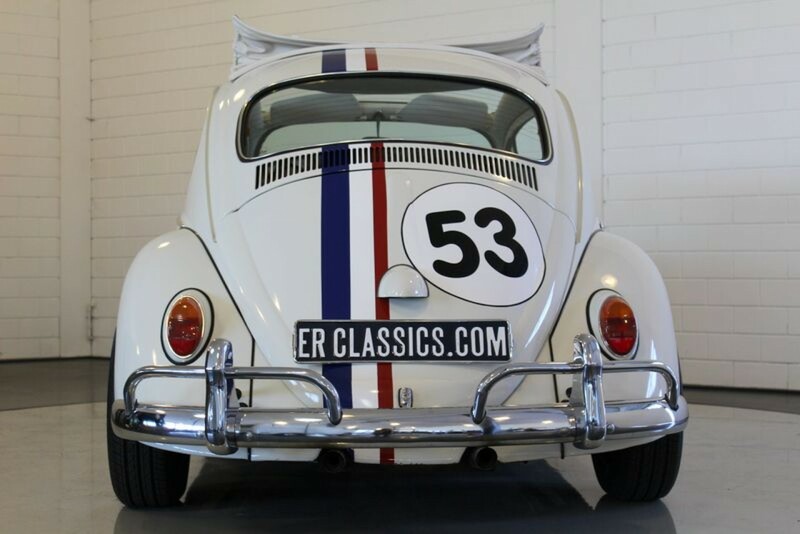 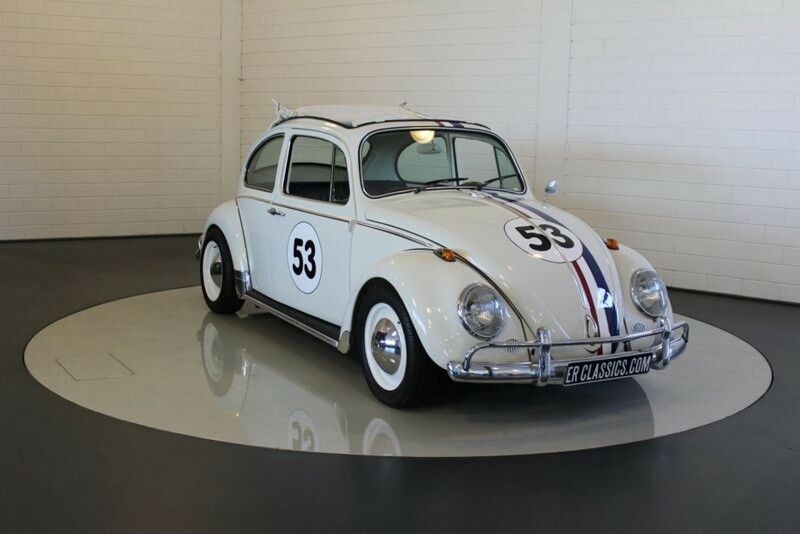 This recognizable Herbie drives great and is a real collector’s item. 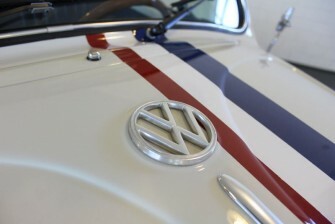 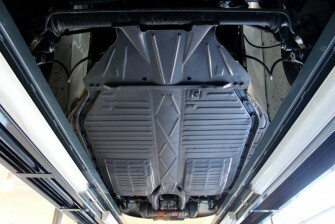 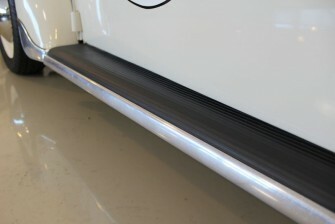 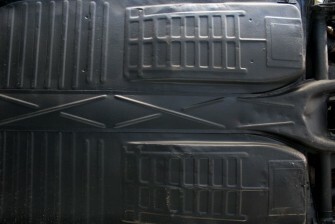 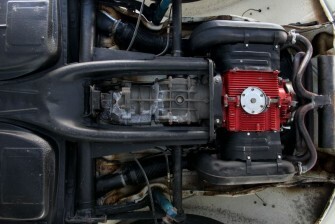 The Volkswagen has German title.